Through the rest of this week, as the Secrets brand integrates more and more with MSP Magazine, you’ll see some changes on this site, which will stay at this web address. Mpls.St.Paul Magazine editors will contribute news to Secrets of the City from their specific areas of expertise, including food and dining, arts and entertainment and local lifestyle. 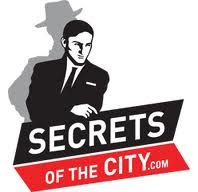 Later this summer mspmag.com will be re-launching with new daily content, including city news from Secrets of the City. Also starting this week, MNSpeak will be moving under the watchful eyes of old-timer MNSpeaker, Andrew Eklund (aeklund) and Karl Pearson-Cater (bigboxcar) at Ciceron, a digital strategy and social advocacy firm in the Twin Cities. Ciceron will be leading the charge for what the future holds for MNSpeak, re-imagining local content and conversation in the age of Facebook and Twitter. Congratulations everybody and keep up the good work! Via Secrets of the City and MNSpeak.